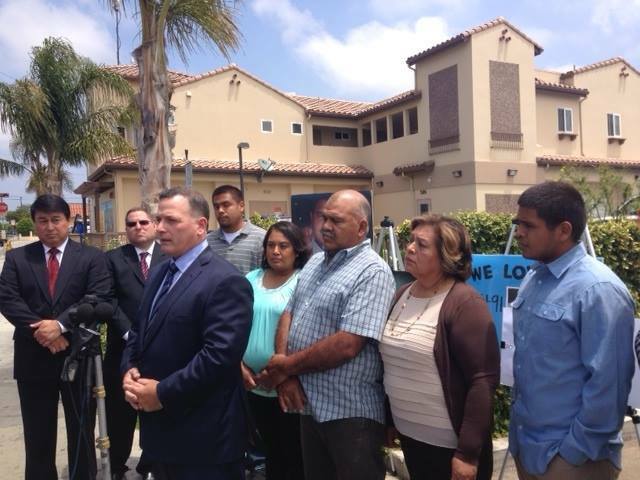 Today, the Limon Family held a press conference to announce the $6.7 million settlement their legal team reached with the Oxnard Police Department, after their son was executed by 9 officers* on October 13, 2012. 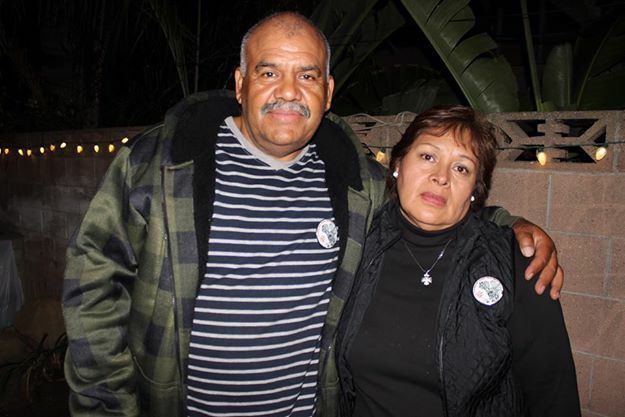 The family was joined by the family of Robert Ramirez, who suffered a homicide at the hands of the same Department, as well as the Todo Poder al Pueblo Collective. 2 years later, a settlement has been reached between the heartbroken family and the OPD, who now admit that they made a mistake while admitting their inability to control the situation – putting the blame on Jose Zepeda, who was also killed that night and was never given the opportunity to explain his side of the story, and Zepeda’s friend. The family has suffered 2 years of continual pain and grieving, while the 9 officers involved in the shooting were placed on paid administrative leave (paid vacation) and given light re-training before promptly returning to work, patrolling the same neighborhood they terrorized our streets. One officer, traffic cop Ernie Orozco, decided to retire early and is now enjoying a quiet retirement with his generous pension package. Another officer, Pedro Rodriguez (who was also implicated in the Ramirez homicide), is now the resource officer at Pacifica High School. It took two years for the family to reach this settlement. However, no amount of apologies by the Chief and no sum of money will ever bring back the son, the brother, the uncle, and the beloved friend that was Alfonso Limon. The family also made clear the fact that they want justice not just for their son, but for their community as well – and there is no justice without accountability. In addition to paying $6.7 million, the Oxnard Police Department must now also comply with the non-monetary conditions set out in the settlement: officers on duty must now wear cameras pinned to their shirts, which will record their interactions with residents. This arrangement is still being ironed out with the powerful police officers’ union, which will no doubt do everything they can to delay, stall, and complicate this condition. 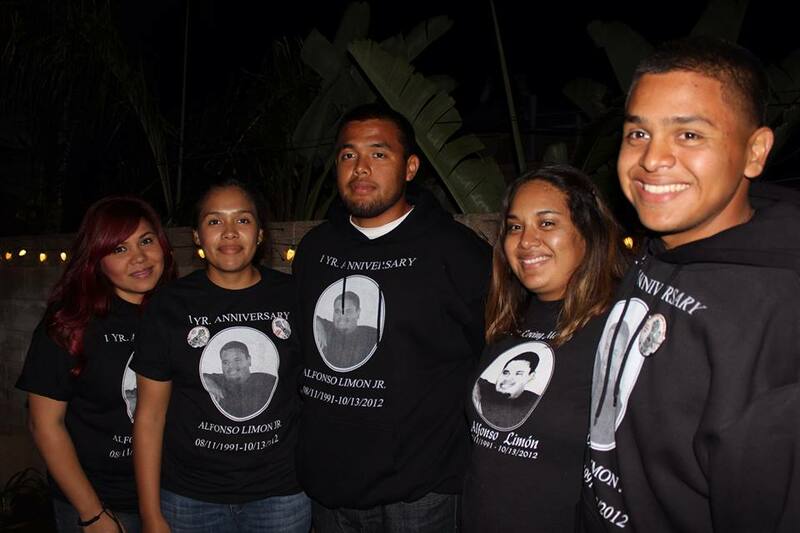 The City of Oxnard has also stated that October 13 will be recognized for at least five years as an “anti-violence day“ in Alfonso’s memory. However, the Todo Poder al Pueblo Collective cautions residents to be suspicious towards events that are meant to distract the community from the real violent criminals who have attacked the community – the Oxnard Police Department. A plaque in Alfonso’s memory will be installed at the site of the murder. This should serve as a permanent reminder that the Oxnard Police Department are free to kill innocent youth without suffering real consequences. However, the same cops who killed Limon, Ramirez, and Mahoney remain at large and on the beat – none have faced repercussions. Senior Officer John Brisslinger was the highest-ranking cop implicated when Limon was repeatedly shot to death. He was also the undercover officer in charge of following the families in the Community March for Justice to mark the one-year anniversary of the OPD killings on October 12, 2013 in an attempt to persecute community organizers like Francisco Romero, who received 5 bogus infractions for jaywalking. It’s highly probable that Brisslinger wasn’t the only killer cop from Beat 3 who followed us then, and others were also involved. The message this sends is that the Chief wants our community to be silent about misconduct, while officers who kill innocent residents are simply above the law. There’s no substitute for transparency and oversight of police practices, which are currently hidden from the public through the internal protections of abusive officers. We need an independent, democratically-controlled civilian review board that can get down to the root of Oxnard Police negligence, with the power to investigate complaints, hire, fire, and impose disciplinary measures. The Todo Poder al Pueblo Collective will continue to fight alongside other residents to ensure that this becomes a reality. No justice, no peace! Rest in power Alfonso Limon! Alfonso Limon, Robert Ramirez, Michael Mahoney, Jose Zepeda, and ALL community martyrs – PRESENTE! Aqui estamos y no nos vamos – We are here, and we will continue to fight – the only secure community is an organized community! This entry was posted in Análisis // Analysis, Brutalidad Policial // Police Brutality, Movilizar // Actions, Notas de prensa // Press releases. Bookmark the permalink.